Highly grogged plastic medium to high temperature sculpture body. Coarser particles screened from a 50 gram specimen. 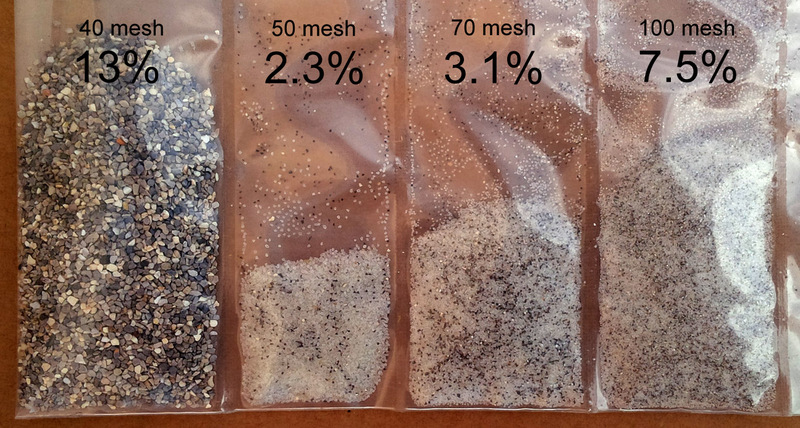 This is our M340 with 28% aggregate added (14% 20 mesh grog and 14% 75 mesh silica sand) to improve drying performance. This body has a much coarser grog component than our other standard native grogged bodies like M332G, H440G and H441G (these other bodies contain a range of particle sizes from fine to coarse, whereas the grog in MSculp only contains large particles). Its design philosophy parallels that of our dark burning Sculpture Clay (a fine particled clay base having aggregate particles that span a narrow range of sizes). When working with this keep in mind that while, on one hand the grog and silica sand particles terminate cracks and reduce shrinkage and vent internal water, they also reduce the dry strength. Fired bars from cone 5 to 8 oxidation (bottom upward) and cone 10R (top). 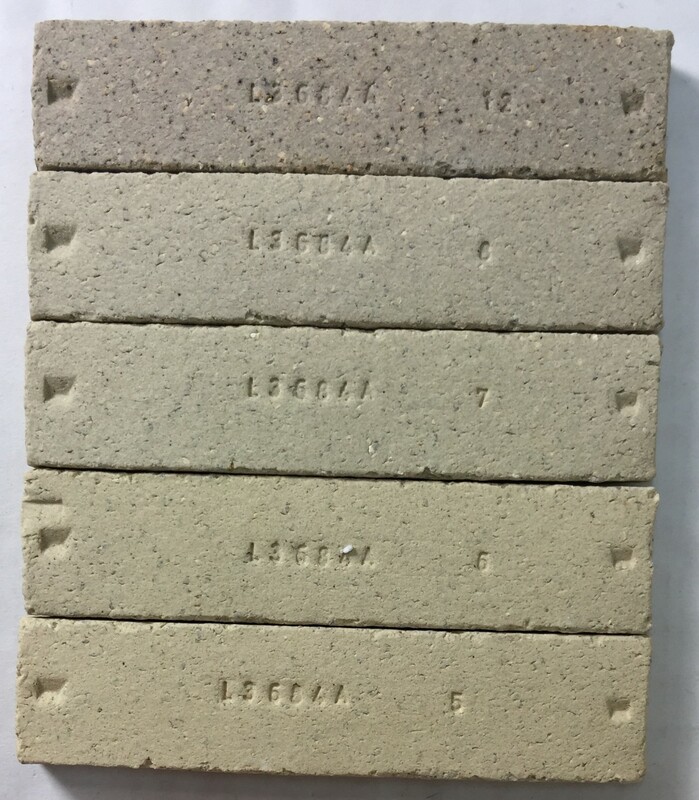 Fired color at middle temperature is a straw color similar Buffstone. At cone 10 reduction it is grey. Pieces fired at middle temperature will resist warping during firing better but they will not be as strong and will be more porous (outdoor pieces will require some sort of sealant to prevent freeze-thaw damage. Protruding grog particles can make glazed surfaces rough. Keep in mind that bisque may not be as strong so extra care may be needed during handling.